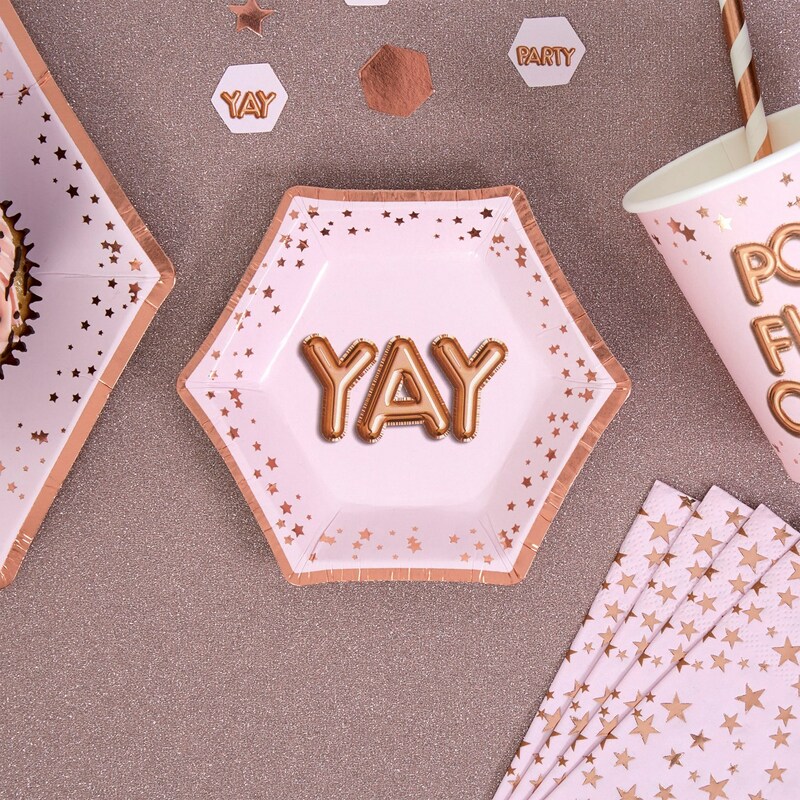 Fun, stylish and unusual – these small-size party plates finished with a scattering of rose gold foil stars and a rose gold foil trim are ideal for nibbles, canapés or sweet treats. These fun plates are adorned with a ‘Yay’ logo in balloon-style text and are idea for a variety of occasions, from birthday celebrations to Hen parties. each pack contains 8 Plates, measuring 125mm.